In an extensive study of more than 7.5 million email messages, sent over the last two years, IT Managed Services company IT Force has determined that over 83% of all email traffic in Ireland is either Spam or Junk Mail. Spam is electronic junk mail – unsolicited messages sent by email, text message or instant message without the recipient’s consent. Whilst there is nothing unusual in the study itself, IT Force has monitored 100 Irish domains over 24 months in order to obtain results. This is the first almost exclusive Irish traffic monitoring and is remarkably similar to other international studies of this type. Interestingly, the volume of spam far outweighs the number of viruses that were in circulation. 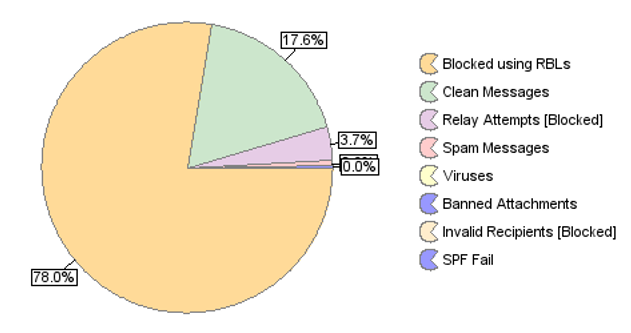 According to the data from IT Force, viruses accounted for less than 15% of spam messages. On a scarier note, there has been another study on the massive increase in ransomware present in these email messages.